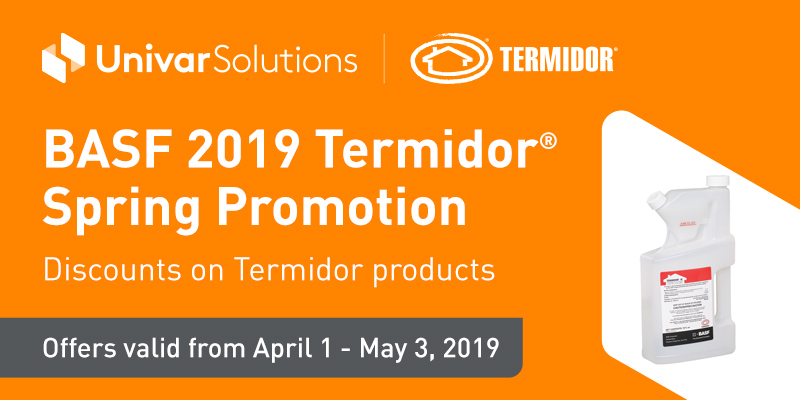 PROMOTION DATES: APRIL 1 - MAY 3, 2019 END USER TERMS: JULY 20, 2019 ALL PRODUCTS MAY NOT BE REGISTERED FOR USE IN ALL STATES. PLEASE CHECK WITH YOUR DISTRIBUTOR, STATE, OR LOCAL EXTENSION SERVICE FOR DETAILS. 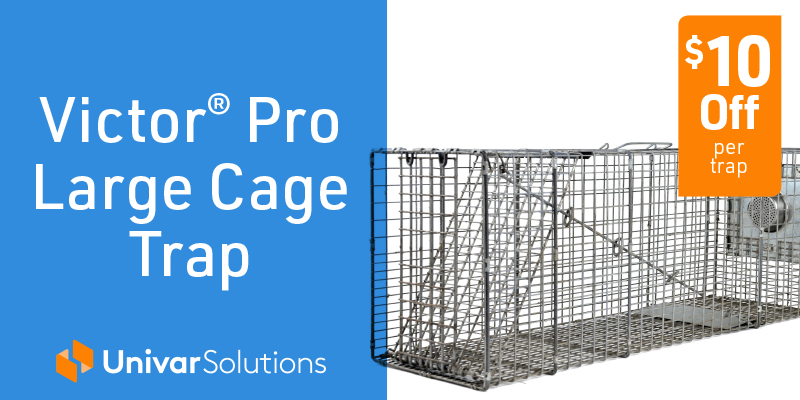 THIS AGENCY END-USER PROGRAM APPLIES ONLY TO QUALIFIED END USER PROFESSIONALS (PEST MANAGEMENT COMPANIES, GOVERNMENT, AND STATE MUNICIPALITIES). 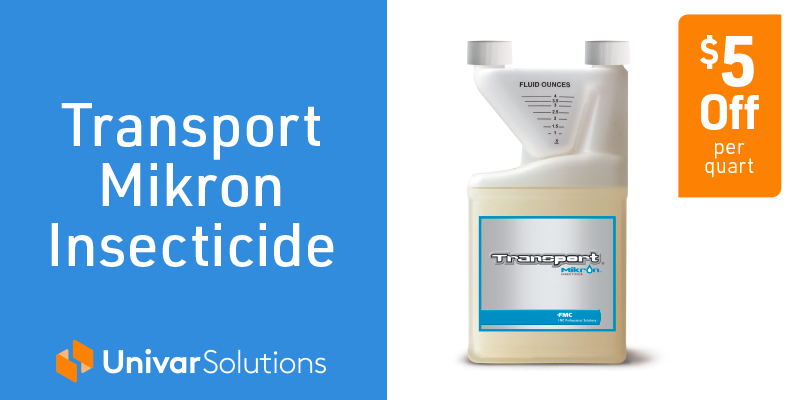 PRODUCTS MUST BE PURCHASED THROUGH A BASF AUTHORIZED AGENT. RESELLERS ARE EXCLUDED. ALL SALES ARE FINAL. 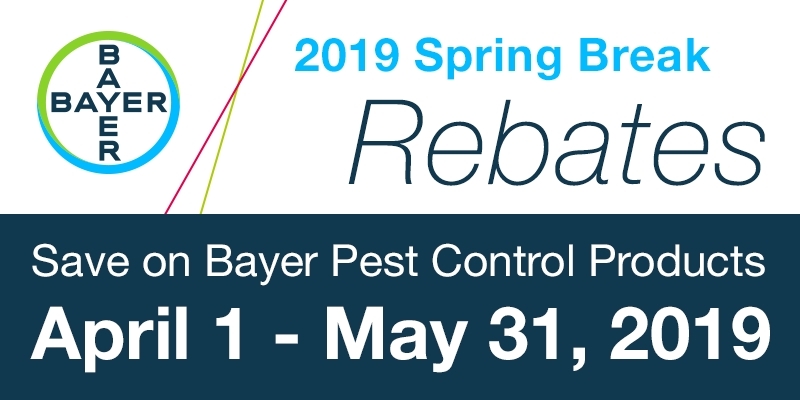 Bayer is pleased to announce the 2019 Bayer Spring Savings Program. 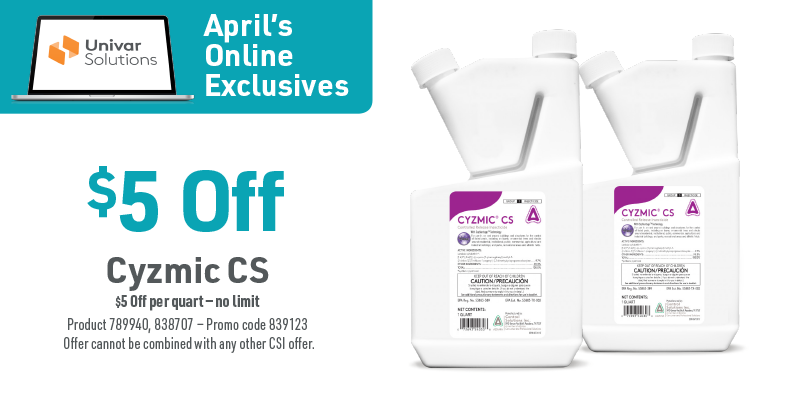 This year’s promotion will run from April 1st until May 31st. 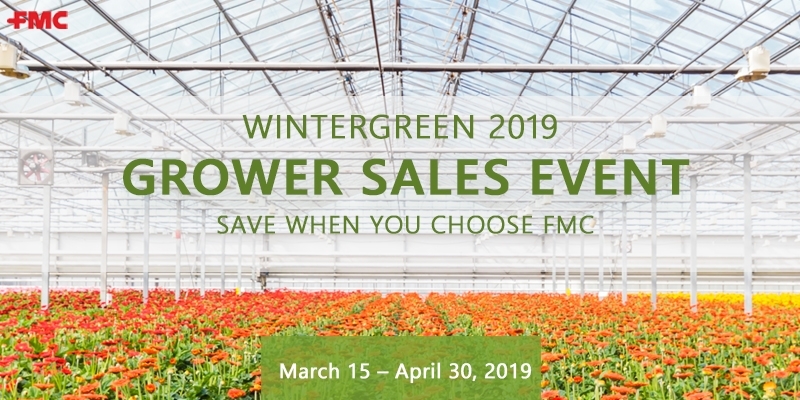 FMC's Wintergreen Grower Sales Event has all the savings you need for beautiful Spring plants! 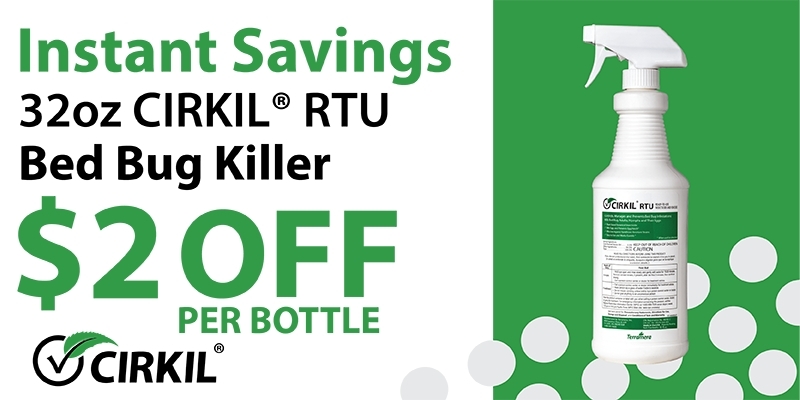 EXTINGUISH FIRE ANTS and GET CASH BACK! 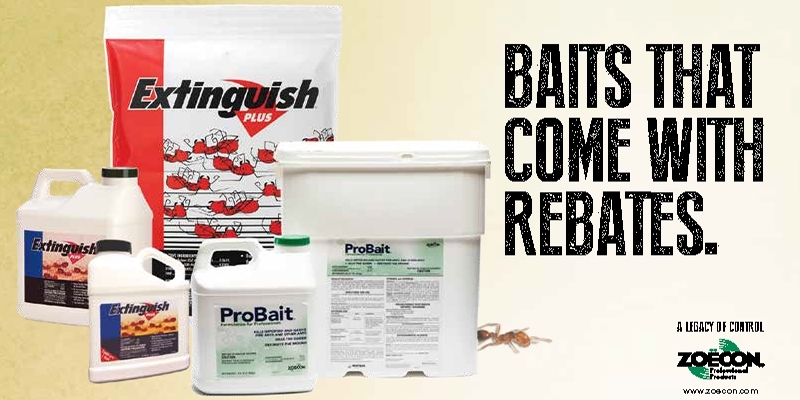 The 2019 Extinguish® Plus Fire Ant and ProBait® Rebate Opportunity When you purchase 100 lbs or more of Extinguish® Plus and/or ProBait® Formulation for Professionals, receive $0.50 per lb rebate! Valid on purchases made form February 1, 2019 to September 30, 2019. EARN POINTS. WIN PRIZES. 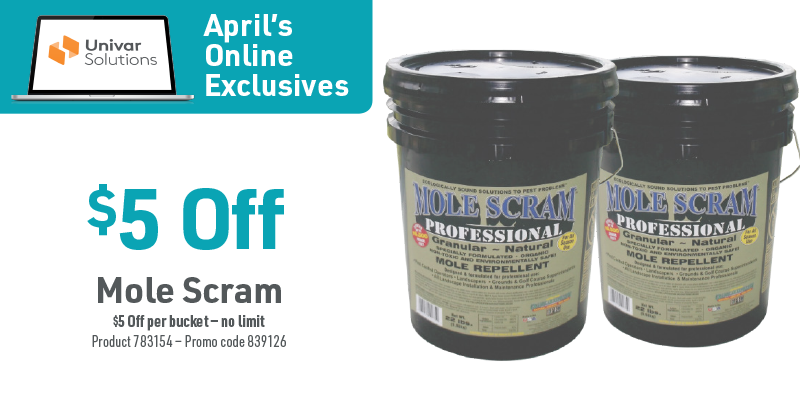 Get ready for some spring rodent madness March 1 – April 30. Score a win against rodents and you’ll earn prizes. 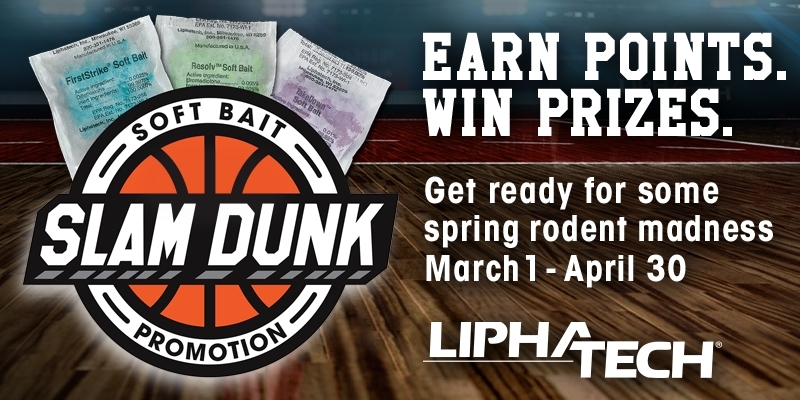 Between March 1 and April 30, 2019, every Liphatech soft bait you buy will get you one point closer to a cool prize like a wireless trail cam or $500 Southwest Airlines gift card. 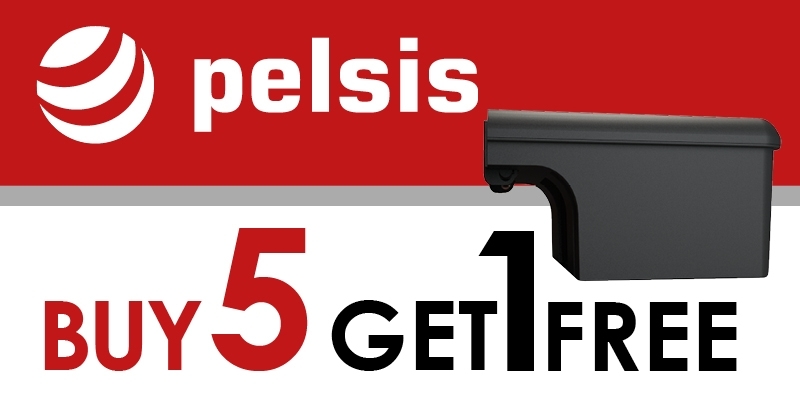 Add Additional Revenue To Your Commercial Account Routes With This Great Offer From Pelsis! Order 2 cases of any fragrance and receive 2 fragrance dispensers free of charge! 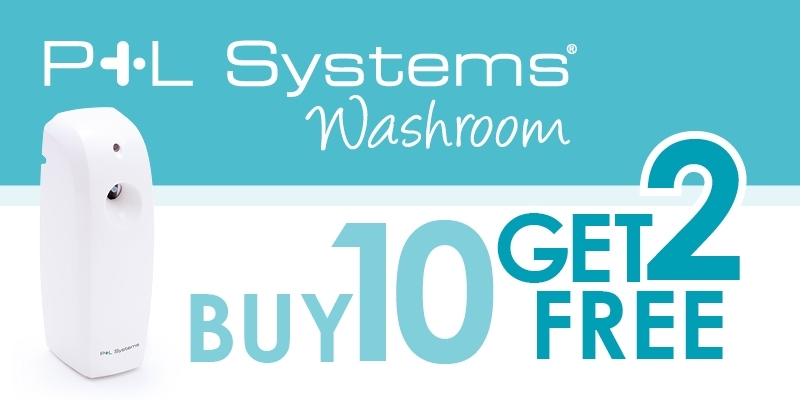 Increase Profits From Your Routes With Our Washroom Fragrances! 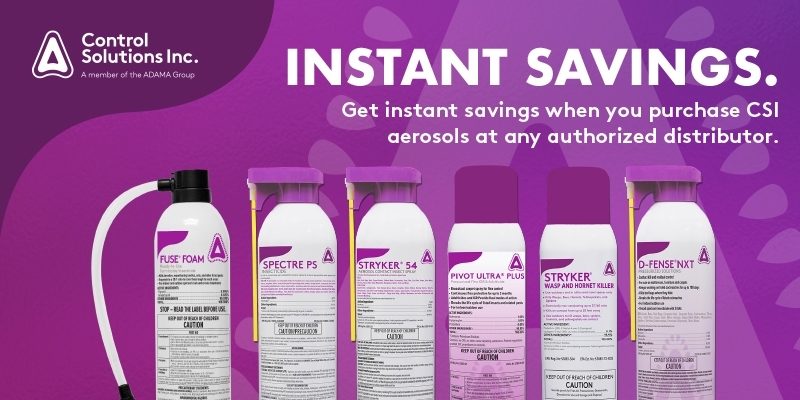 Purchase 11 cans of Fresh Linen, Cinnamon, Citrus, or Baby powder aerosols, or Fresh Linen Total Release, and receive 1 extra can free of charge! 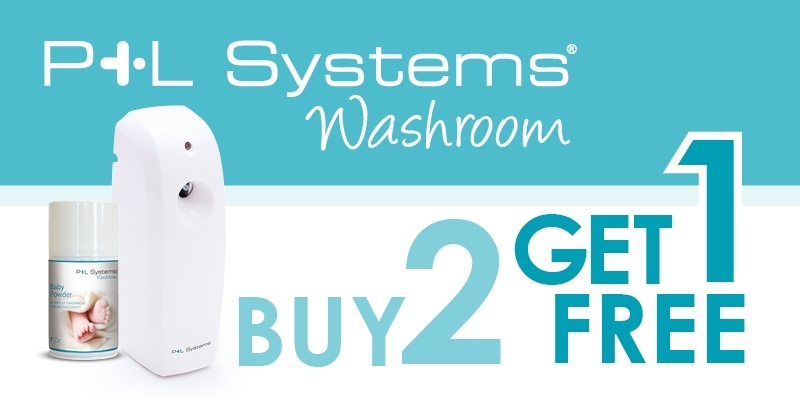 Take Advantage Of This Great Offer On Fragrance Dispensers! 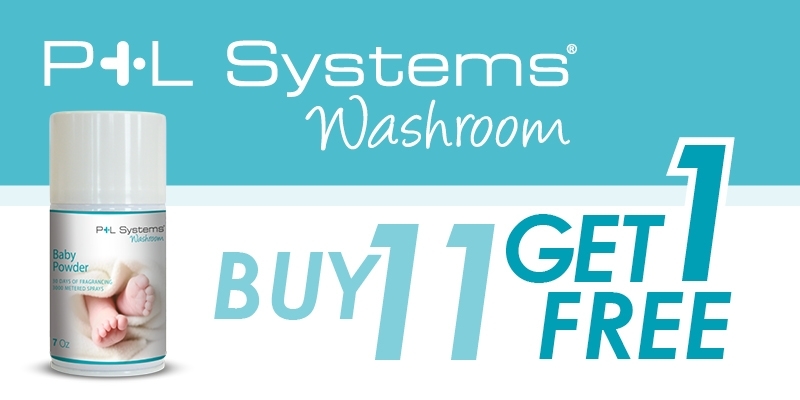 Order 10 fragrance dispensers and receive 2 fragrance dispensers free of charge! 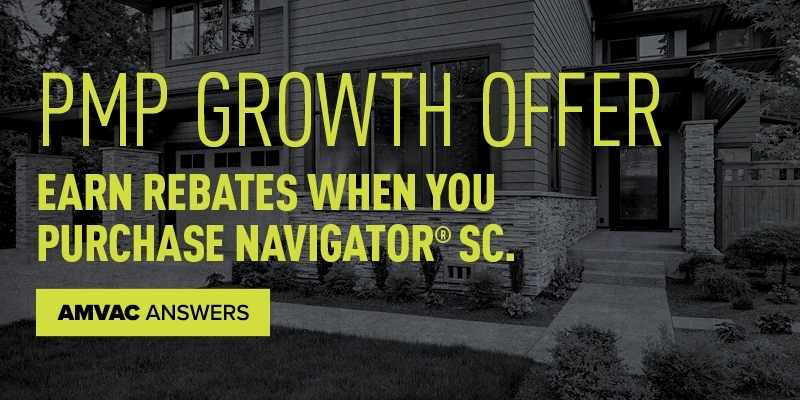 Take Advantage Of This Fantastic Promotion on Decorative ILTs! 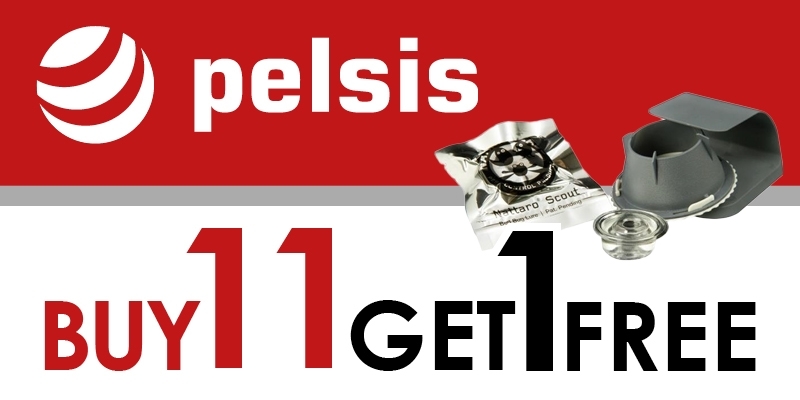 Order 3 Luralite Cento Plus or Flypod flylights and receive 1 additional light free of charge! 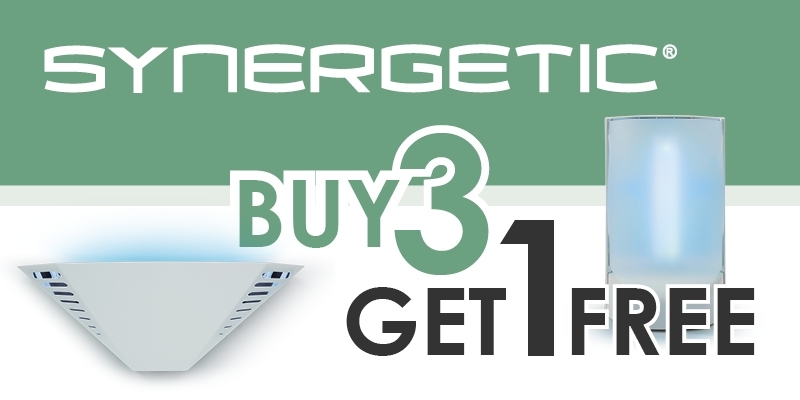 Take Advantage Of This Fantastic Offer On Synergetic Flylights! 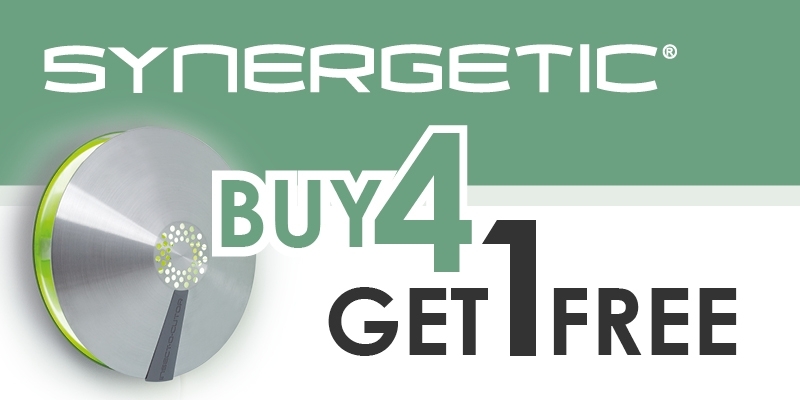 Order 4 Aura, Aura Black, Halo Curve, Nectar, or Luralite Professional and receive 1 additional light free of charge! 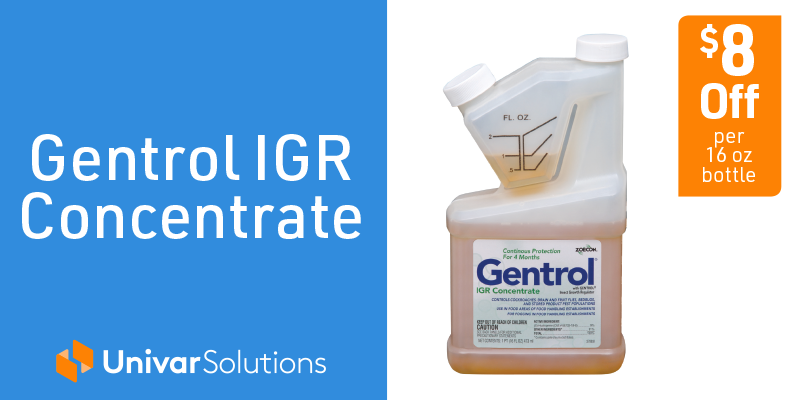 Have You Tried Our New Rodent Control Products Yet? Purchase 5 of our new NEO stations and receive 1 for free! Have You Tried The New Nattaro Scout Bed Bug Monitor? Buy 11 packs of Nattaro Scout Lures or Nattaro Scout Monitors and receive 1 additional pack free of charge! Start Spring out with money in your pockets! 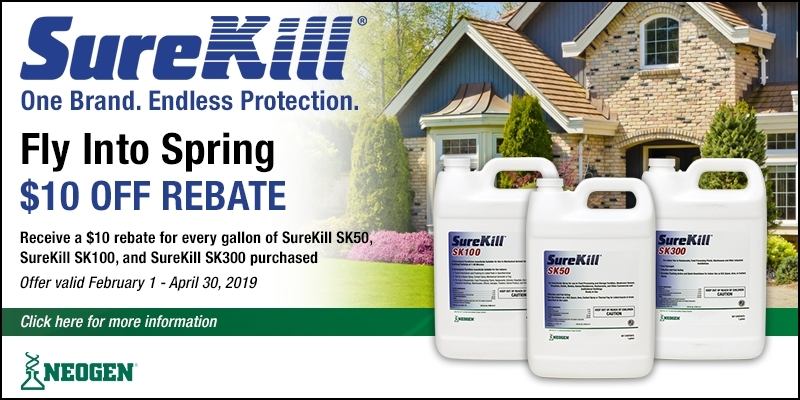 Take advantage of $10 off each gallon of SureKill SK50, SK100 and SK300 purchased between Feb. 1st and April 30th of this year. 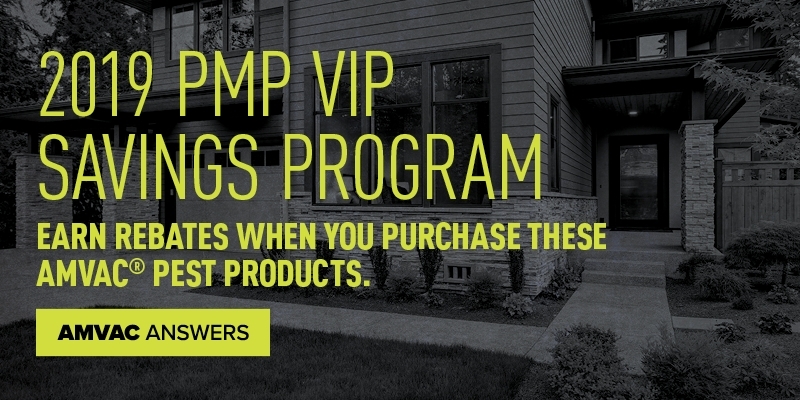 This program is designed for you the PMP to save on products you currently purchase. Visit neogenprofessionalpest.com for more information.